Top: Morgante Wilson designed a custom dining table which can break out into four seating groups. 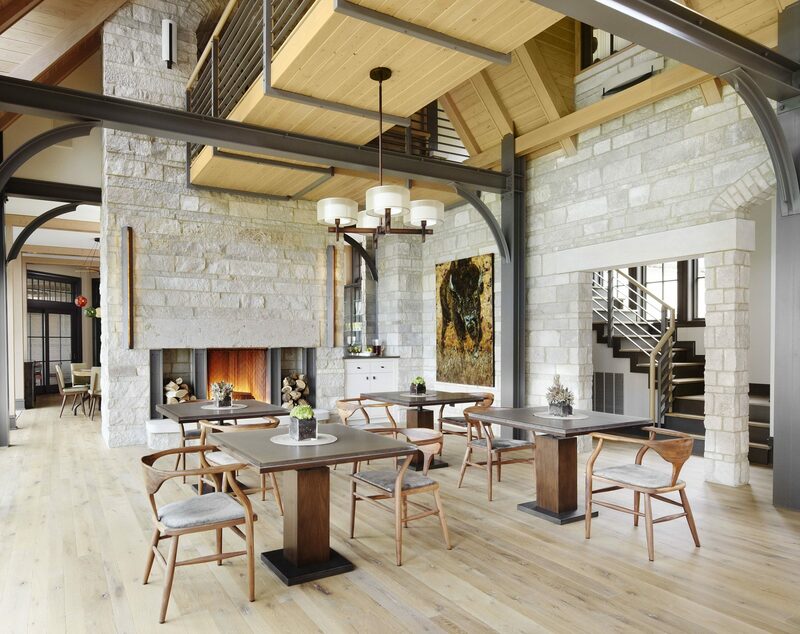 Sconces from Hubbardton Forge sit atop the fireplace. Whether guests include extended family members or those invited to take part in the large-scale charity events that are often hosted here. Top: Morgante Wilson installed a marble slab for the kitchen backsplash. 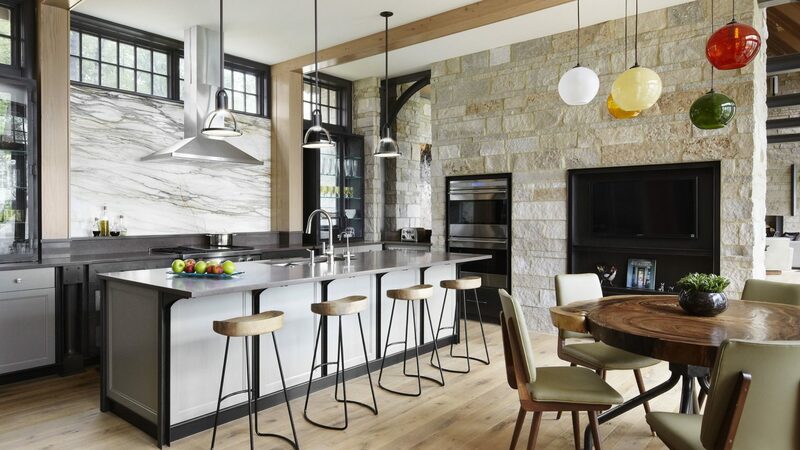 Pendants from Holly Hunt hang above the Caesar-stone counter top which is supported by custom metal brackets. 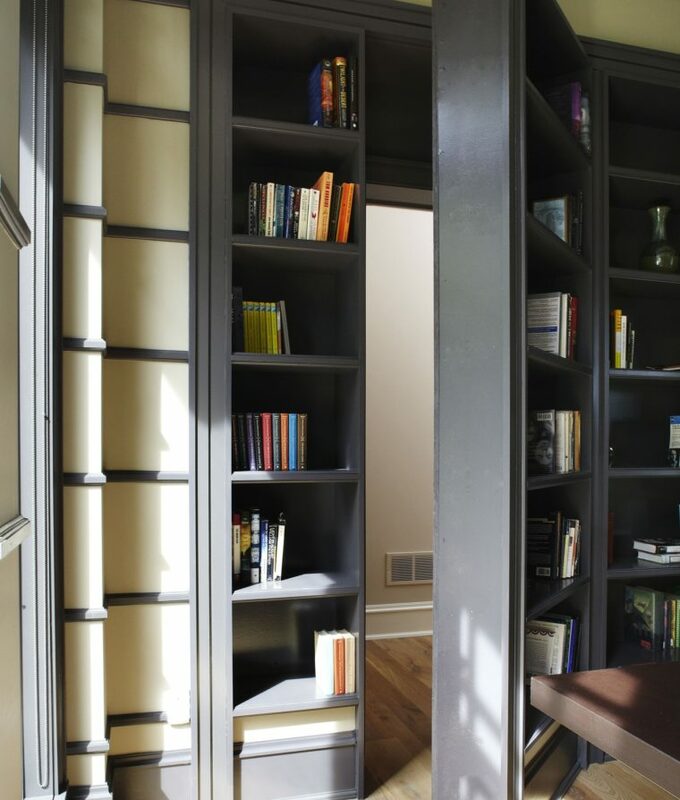 The MWA Interiors team designed this custom metal cabinet to help hide refrigerator drawers and ice maker. 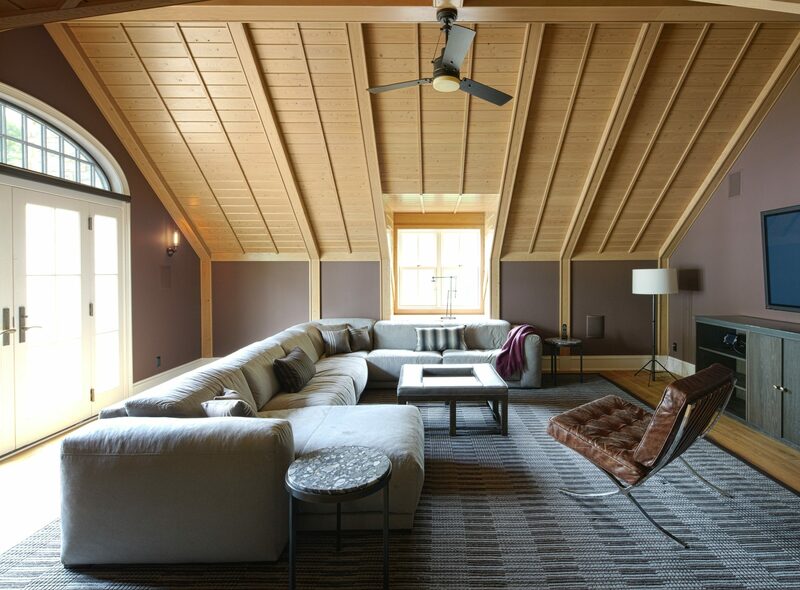 Morgante Wilson Architects designed this tranquil Master Bedroom to have floor to ceiling draperies. The silk rug glows with the morning light from the lake. A custom rolling ottoman sites between two woven lounge chairs. Morgante Wilson Architects built in a custom headboard with storage into this Master Bedroom. Behind the walnut panels is storage. A custom bed with linen wrapped legs sit in front. The walls are painted Benjamin Moore Desert Light. 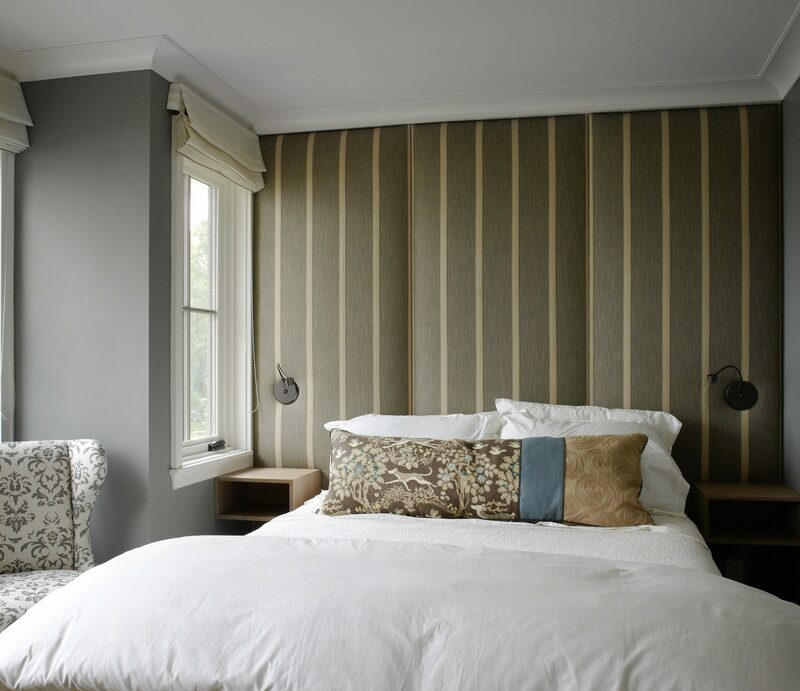 Morgante Wilson Architects built in a custom headboard with storage into this Master Bedroom. Behind the walnut panels is storage. A custom bed with linen wrapped legs sit in front. The walls are painted Benjamin Moore Desert Light. Morgante Wilson Architects installed a grasscloth wallpaper from Donghia to add texture to this small office. 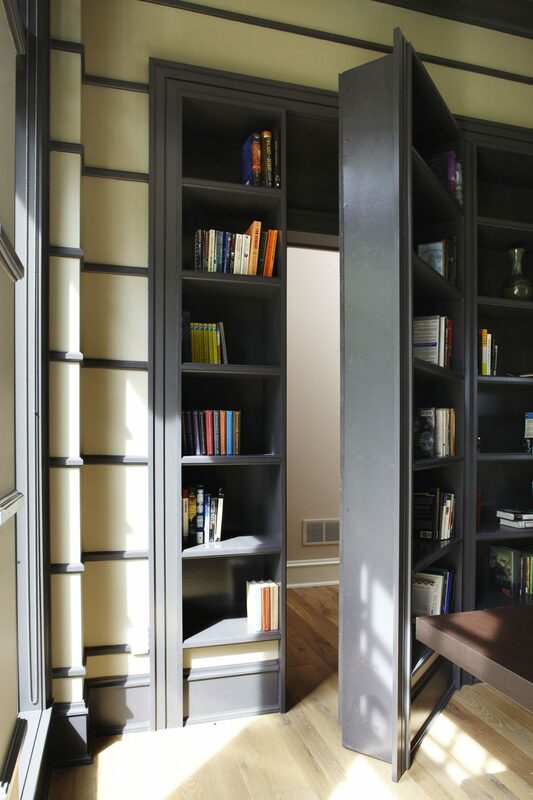 A custom desk was designed to fit in the niche. Seating from Donghia brings in additional color and texture to the room. The trim is painted Benjamin Moore Iron Mountain. 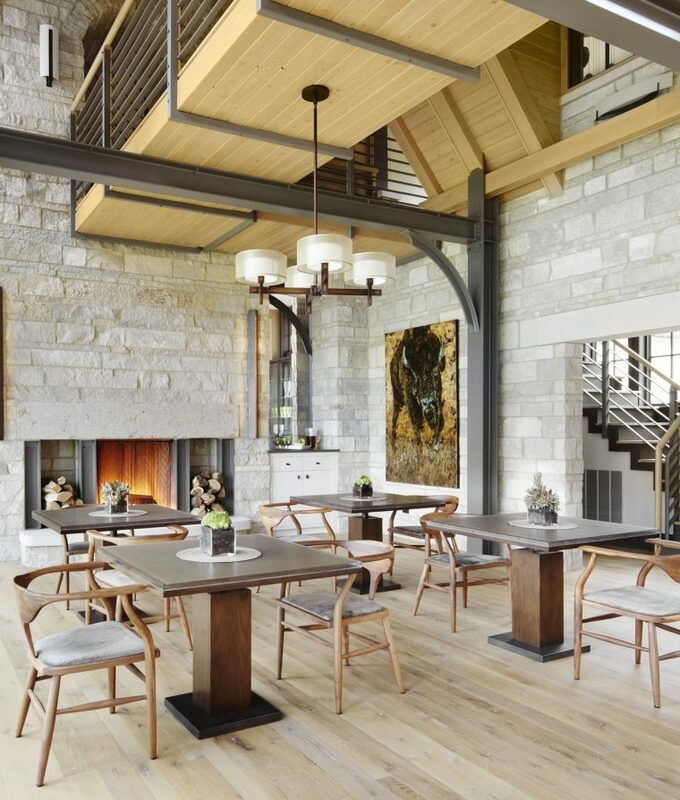 Morgante Wilson Architects installed a blend of pewter and bronze Mona Lisa tile on the fireplace. Lounge chairs upholstered in a camel felt and navy leather add an executive feel to this office. The leather topped desk sits below a chandelier from Robert Abbey. 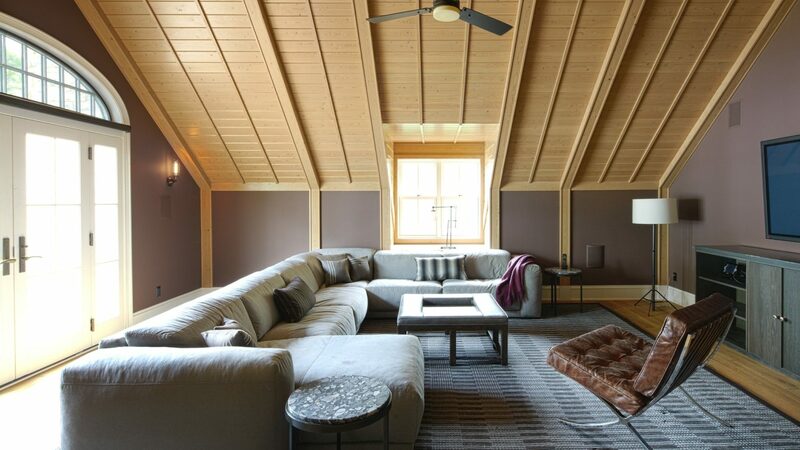 Morgante Wilson Architects designed this recreation room with comfort as the main focus. A deep sectional is covered in Opuzen felt. The media cabinet is designed with metal doors and wood top. The walls are painted Benjamin Moore Desert Shadows. Morgante Wilson Architects gave this girl's bedroom a magical feel with a curved metal headboard and custom window treatments which feature Opuzen fabric. The tufted sofa is covered in Kravet velvet. The walls are painted Benjamin Moore Violet Pearl. 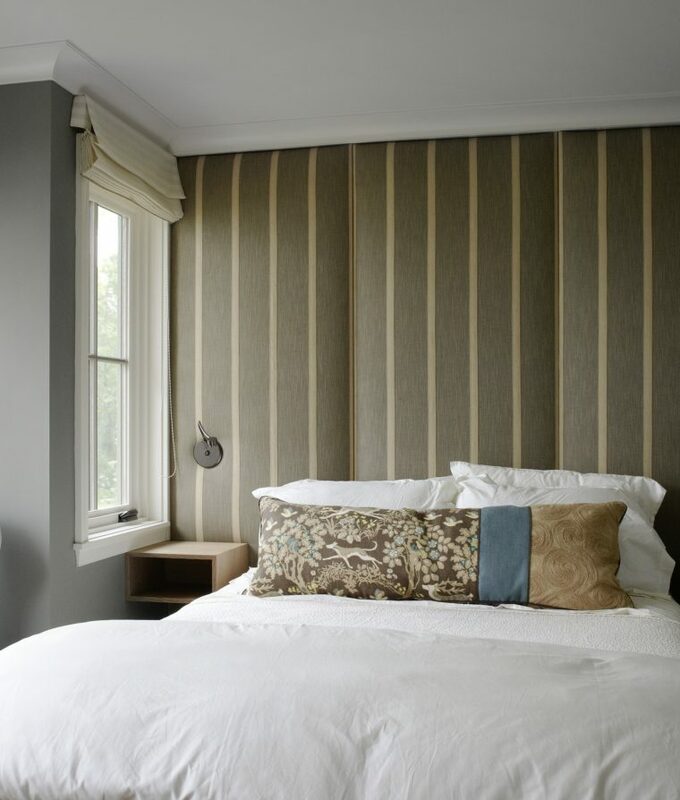 Custom upholstered panels were used in the guest bedroom. Reading lights from Edge Lighting allow for the nightstands to stay clutter free.